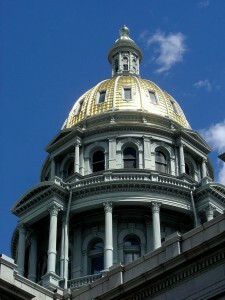 Colorado House Democrats dealt another body blow to Colorado taxpayers this week with renewed talk of a ballot measure to retain constitutionally-mandated TABOR refunds. Predictably, they claim that this money will be earmarked for education. Maybe that will be in the same way the marijuana tax was supposed to be for education. We all know how that went…or something. Why don’t they account for the financial windfall from pot tax dollars that were supposed to bolster the government schools across the state, first? House Speaker KC Becker claims bi-partisan support, although we are unaware of any House Republicans lining up behind her. Not that she would need it though, considering she has a multi-generational super-majority of Democrats in her chamber at the present time. Under a formula in the state’s Constitution, TABOR limits the amount of money that the state government spends, and mandates a return of unspent tax dollars that were collected in excess of that amount. Pretty common sense measure – what responsible household spends every penny that it takes in, and when time are good, spends anything extra that it may find under the sofa cushions? Importantly, TABOR requires a vote of the people before raising their taxes. The long term result of diverting the TABOR refund to other government programs is that the refund only exists in good economic times, but once government programs are funded at a certain level it is nearly impossible to dial it back. Are Democrats going to suddenly claim they need less money for the teachers union a few years down the road, when we are in the grips of the next recession? Certainly not. For them, it’s never enough.